Show Me Your Apron, Katie Morris! 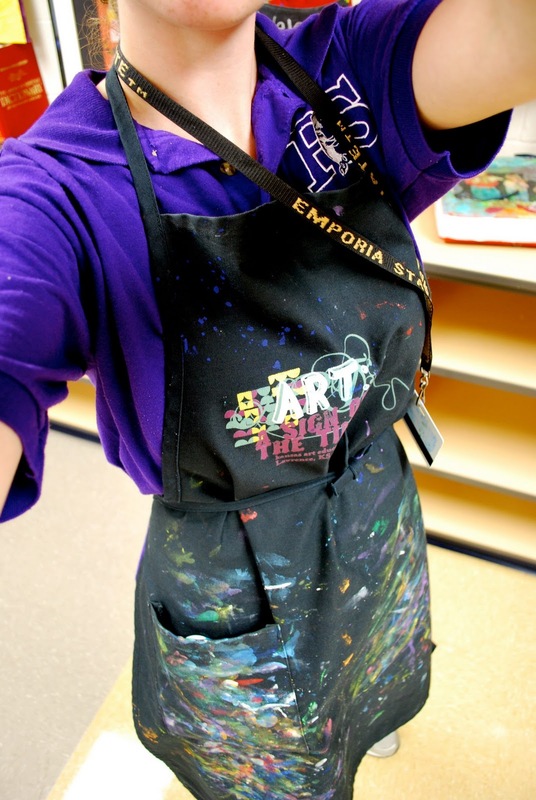 Our first apron feature was submitted by Katie Morris, author of the blog Adventures of an Art Teacher. Check out those brush (hand?) strokes! Thanks for playing along, Katie, and congrats on being the first featured apron! Be creative! Put your apron on display, photograph yourself wearing it, photograph someone else wearing it, whatever strikes your fancy! Keep the file size small. I don’t want my inbox to get bogged down. If you have a blog or website, include the web address with your photo so I can link to it when/if you’re featured. Be patient. I have no idea what kind of response I will get for this. This idea may bomb or it may really take off. Have a story to tell about your apron? Share it with me. I’d love to share it with my readers. I look forward to seeing all the different aprons out there. Have fun! ← "Oh, you’re one of those unfortunate ones."